Gordon was born in Sturgeon Bay, WI on March 22, 1940, the son of Ernie and Edna (Jacobs) Anderson. He graduated from Sturgeon Bay High School and served our country in the Army from 1958 to 1960. Gordon married Sylvia (Ehrenberg) Anderson in 1965 at Mt. Zion Evangelical Lutheran Church in Ripon. He was employed as a mechanic at Mercury Marine in Fond du Lac, WI for 40 years. Gordon’s interests included collecting HO scale trains and attending car shows. 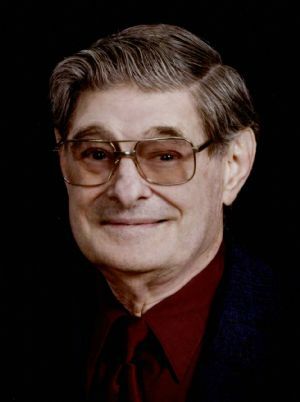 Gordon is survived by his wife, Sylvia Anderson of Ripon; his children, Pam (Fred) Krahn of Ripon, and Mark (Lindsey) Anderson of Germantown, WI; grandchildren, Bradley and Deanna Krahn, and Lexi and Julia Anderson; one sister, Gloria (Roger) Kintopf of Pickett, WI; brothers-in-law, David (Wendy) Belter of Pickett, WI, Larry (Sally) Ehrenberg of Green Lake, WI, and Alan (Sandy) Ehrenberg of Oshkosh, WI; and many nieces and nephews. He is preceded in death by his parents, Ernie and Edna Anderson; his sister, Faye Cochenet; brother-in-law, Doug Cochenet; his sister, Sue Belter; father-in-law, Ray Ehrenberg; and mother-in-law, Letha Ehrenberg. A visitation for Gordon will be held on Saturday, April 13, 2019 from 9:00 am -11:00 am at Mt. Zion Evangelical Lutheran Church, 320 Mt. Zion Drive, Ripon, WI 54971. A funeral service for Gordon will be held on Saturday, April 13, 2019 at 11:00 am at Mt. Zion Evangelical Lutheran Church with Pastor Michael Sheppard officiating. Interment will follow at Green Lake Center Cemetery, Town of Green Lake, WI. A memorial is being established in his name.